Edinburgh is (and I know this is a BIG statement) my favorite city in the world. This is confirmed by the fact that I've been there 7 times within the past 6 years. I can't necessarily pin point why I love it so much, but there's something about the energy and the history that just makes me weak at the knees. Not to mention it is truly drop dead gorgeous and filled with some of the friendliest people you'll ever meet (Scots are so, so lovely). If ever given the opportunity to live there, I would happily oblige! In the mean time, I'll continue to hop on the 45 minute, 20 euro flight from Dublin every so often to have a shopping spree and pop round to my favorite spots. 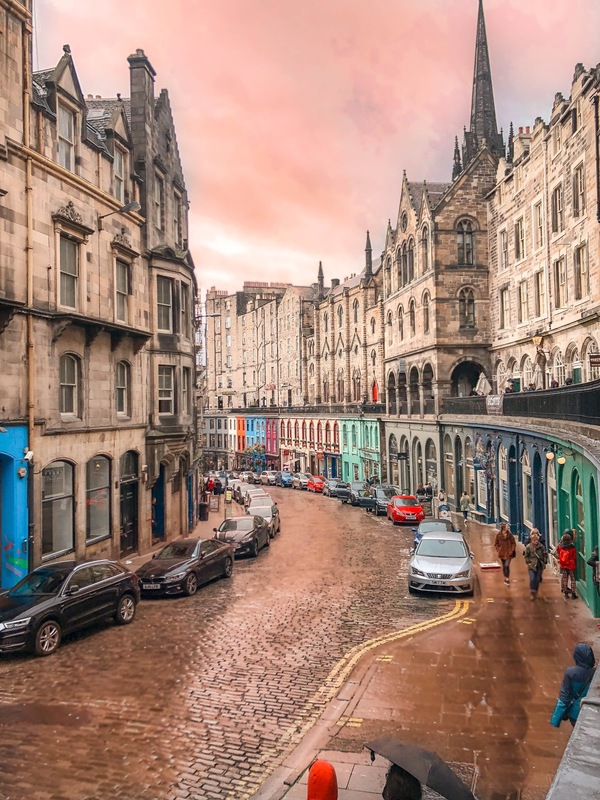 Victoria Street is a magical little rainbow colored haven right off the Royal Mile. 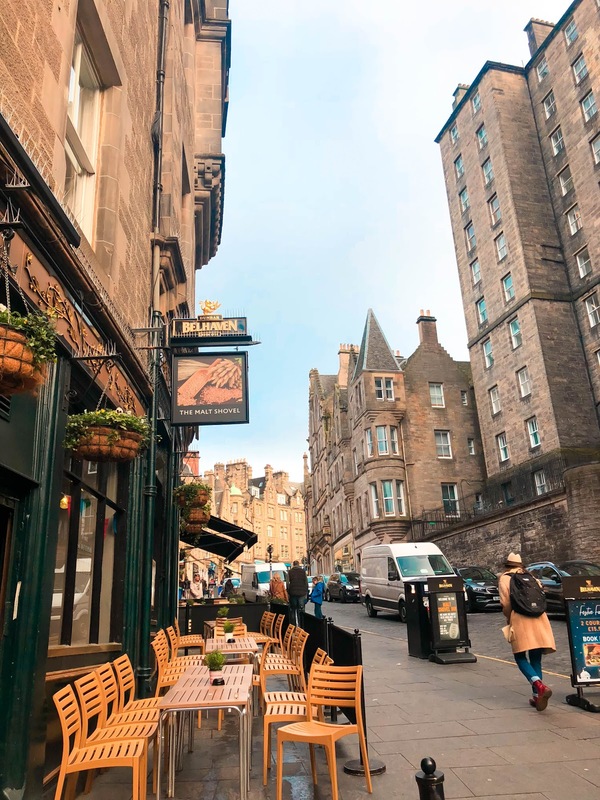 It's said to be the inspiration for Hogsmeade Village, and once you visit it's easy to see why - it's dripping with cobblestones and quaint, quirky little shops and restaurants. 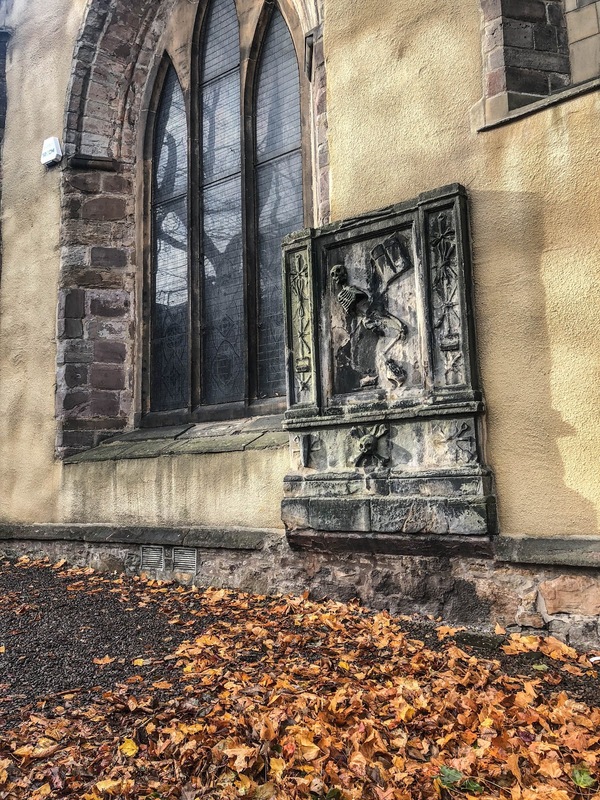 A great place to start when exploring Edinburgh! 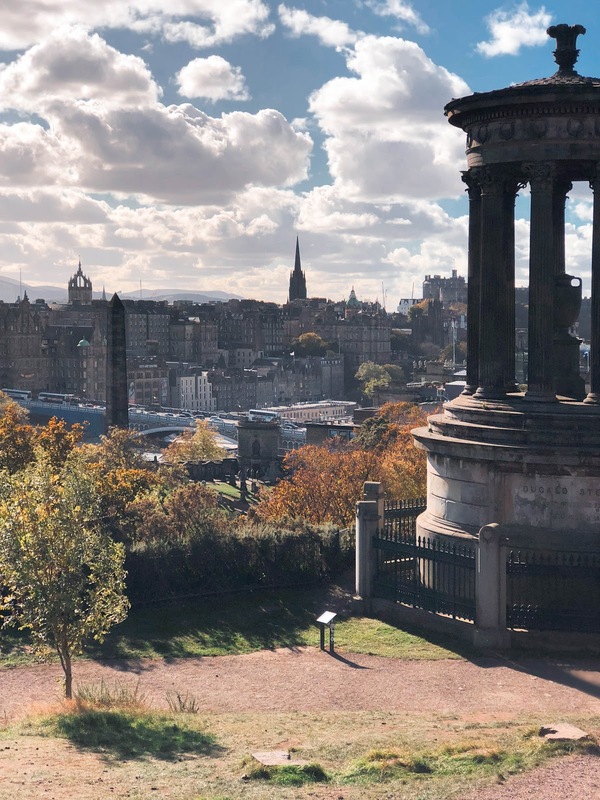 When in Edinburgh, most people will tell you to visit Arthur's Seat (which in fairness, is incredible) but if you don't fancy the proper hike it takes to get to the top, then Calton Hill is an excellent alternative. It provides some of the nicest views in town without the trek (but definitely prepare for a brief, steep, uphill walk!). A perfect picnic spot on a nice day. The Royal Mile is appropriately named as it's the mile-long street that leads you to Edinburgh Castle. It's definitely where you will find all the tourists lurking - but it's absolutely worth a browse. It's not touristy in like a "Planet Hollywood" kind of way - it has some incredible charm, a detailed (haunted!) history and some lovely places to shop for souvenirs. Dean Village is a picturesque little place a short walk away from the City Centre. To be honest there's not much there besides some lush foliage and gorgeous homes but it's a great spot for a nice walk & a photo op! 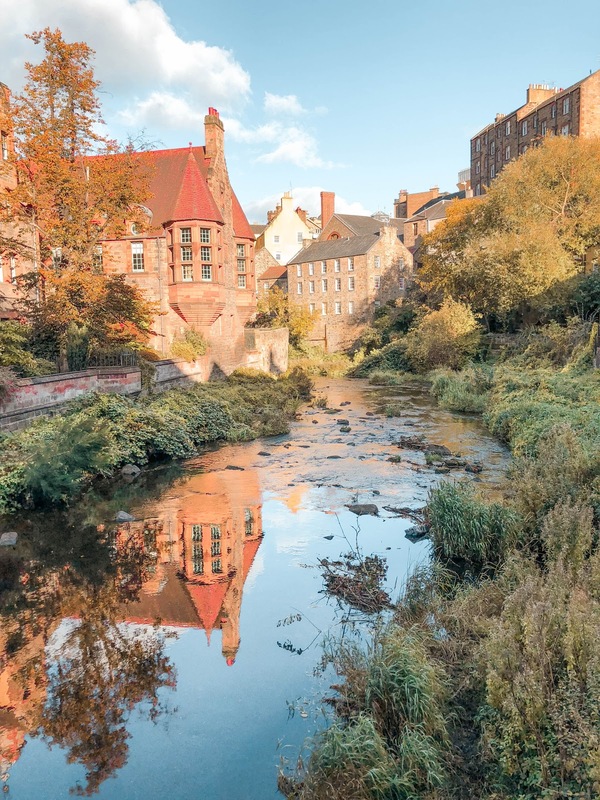 Now, to get from the City Centre to Dean Village, it's best to follow the Waters of Leith. Leith is a fishing village right next to the seaside. The Waters of Leith is the canal that streams into the city center from Leith. It is a GORGEOUS walk, like if you are lucky enough to get decent weather in Edinburgh then I couldn't recommend this more! 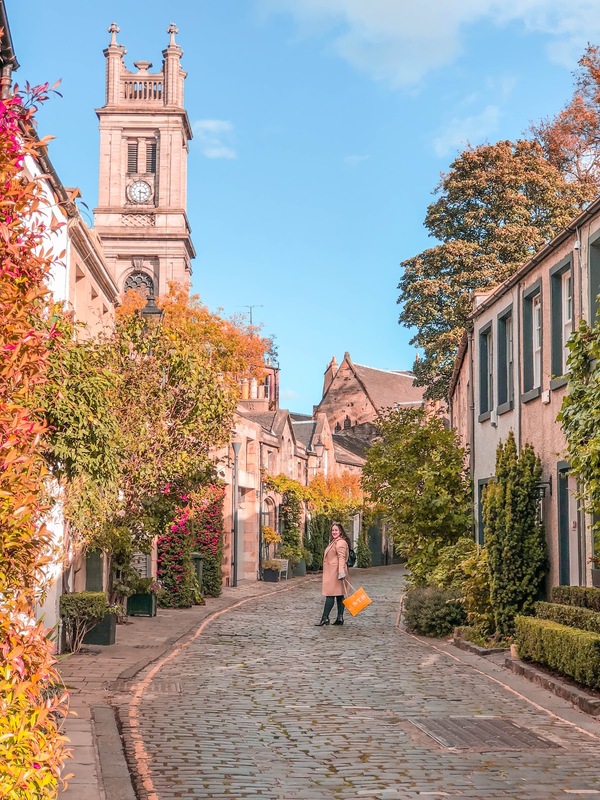 Similar to Dean Village, Circus Lane is simply a beautiful place for a walk and a photo op. I'm particularly fond of it because the houses are straight out of a fairy tale. Quintessential Harry Potter realness. 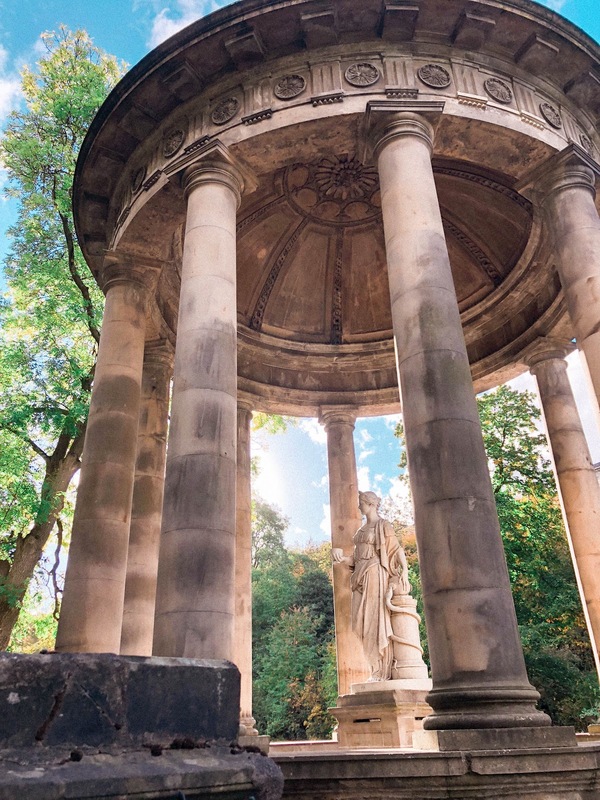 I realize it's weird to include a cemetery on this list but hear me out - this place is a must visit if you're a Harry Potter fan. When J.K Rowling was writing the first HP novel, she often took walks through this cemetery to get inspiration for names. Walking through Greyfriar's you'll spy the names McGonagall, Scrimgeour, and most notably - Thomas Riddell. It's also notorious for being THE most haunted graveyard in the world! This place is so much fun. It's an interactive museum that focuses on illusions and other mind tricks. It's 100000% touristy but a truly good time. If all fails, it has an amazing view from the top that's worth the admission! 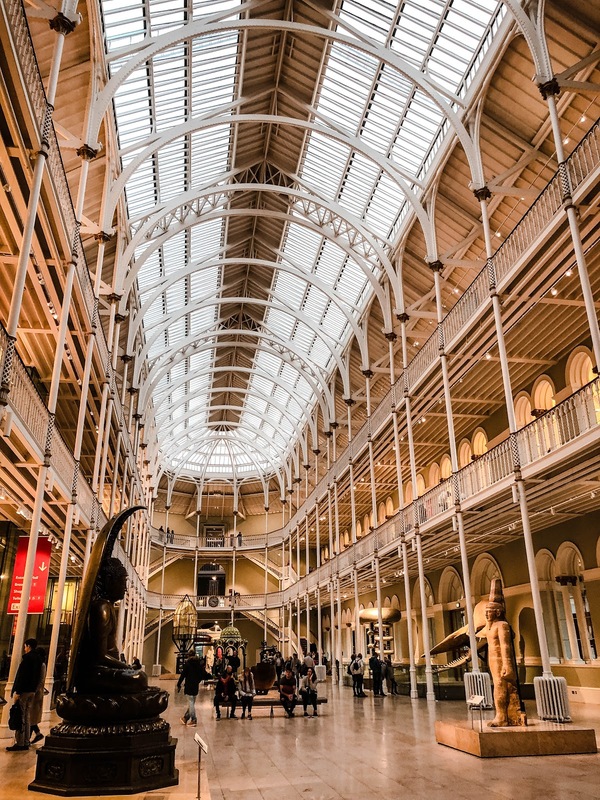 If you love a good old fashioned museum, this the place for you. Free to enter and so much to explore! A great place to pop into if you get burdened by the rain. Another must visit for Harry Potter nerds: this is the spot where J.K. Rowling penned the first book. They even have a signed first edition in a cabinet to commemorate! 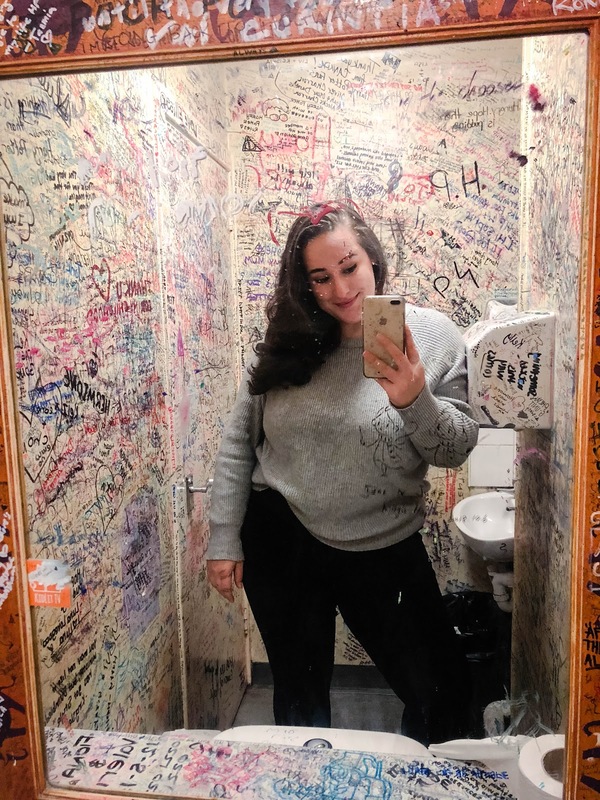 The photo above is a selfie of me in their bathroom, where people from all over the world have come to write love letters to Harry Potter. If I'm being very honest- this place is pretty plain, the service is really bad and everything is overpriced - so why do I keep coming back? Well, they have some of the BEST shortbread I've ever had in my life. Their elephant shortbread cookies are my all time favorite, and don't even get me STARTED on their millionaire's shortbread. My GOD. They are worth the queue you need to stand in to get them. That being said - assuming you're not shortbread addicted - if you go here once, you're good. Easily my favorite restaurant in Edinburgh, and high on my list of my favorites of all time. This place is expensive - it's not somewhere you'd pop in for lunch. But if you want somewhere memorable with incredible atmosphere, service, and food, look no further. It's such a treat and somewhere I dream of going back to (even though I've been 4 or 5 times at this point!) Note: they have a sister restaurant next door called The Witchery. 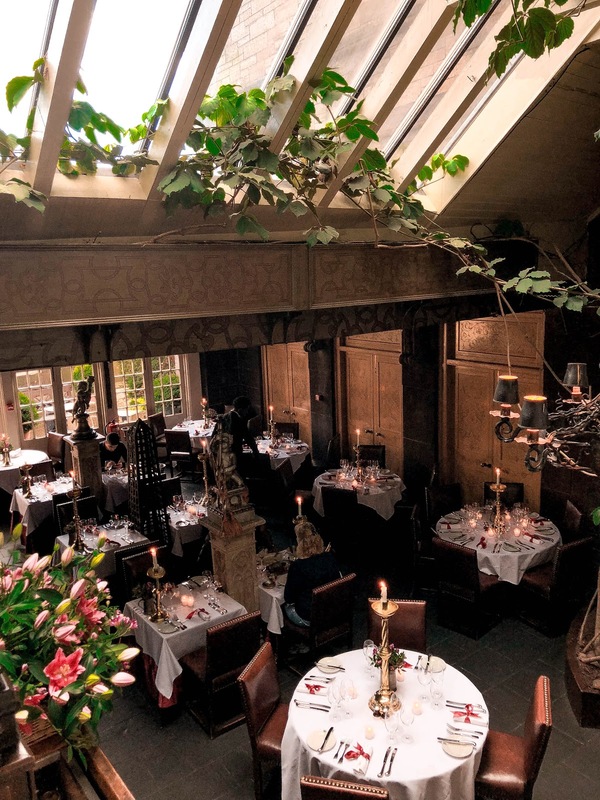 Make sure you're booking the Witchery's Secret Garden! Quite the opposite to the Witchery, this is a classic Scottish pub. The inside is surprisingly cozy despite the ecclectic decor and the bartenders are friendly. Get the haggis burger if you dare - it's incredibly delish! Cashmere, with tartan print. A classic Scotland staple! I mean...where do you think it got its name? Please read the description under "The Elephant House"
I couldn't end this blog post without sharing one of my favorite Airbnbs of all time. 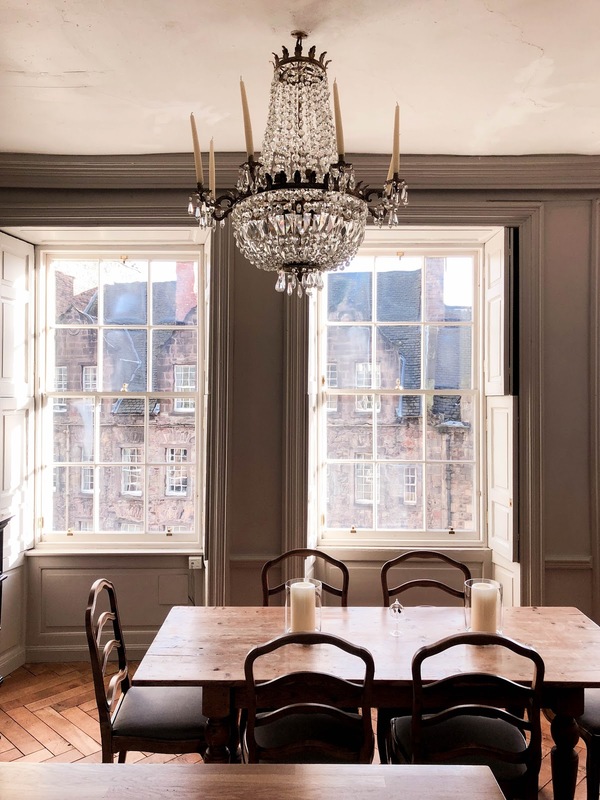 This place has the most incredible location right near Edinburgh Castle and a lovely view of the Royal Mile. 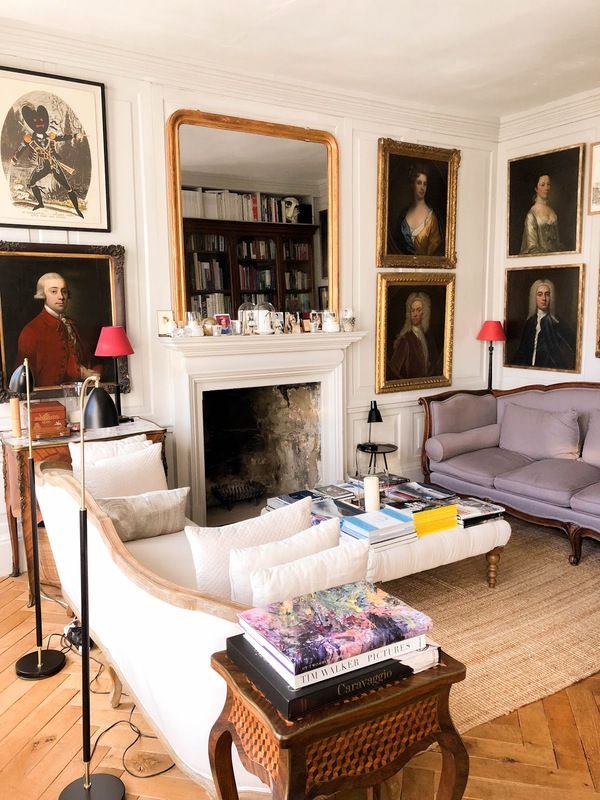 The interior is impeccably decorated and the host is wonderful and goes above and beyond for his guests. I really couldn't recommend it more. You have to climb a LOT of stairs to get up to it which is the only downside, but if you can deal with that then this is the perfect Airbnb for a quick getaway for two with minimal luggage.